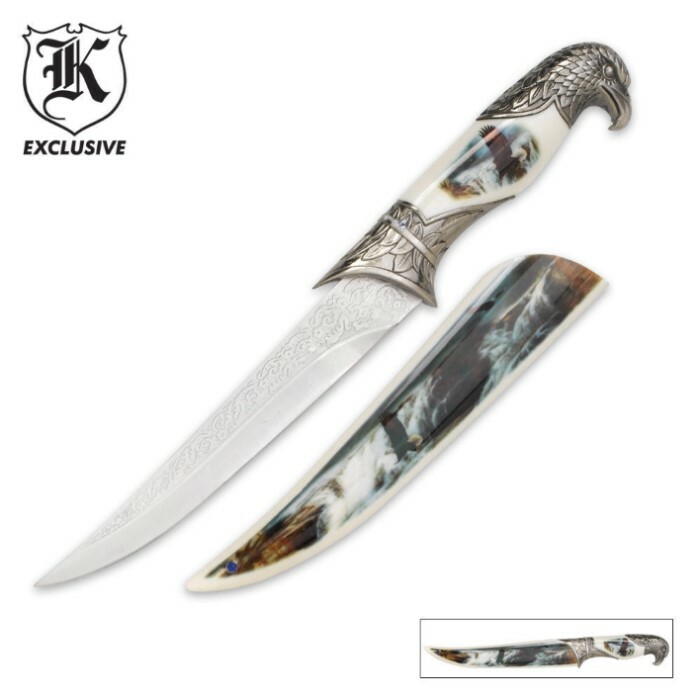 The fantasy bowie knife offer a 7 7/8" stainless steel blades with intricate engravings, cast metal pommel and guards surrounding full color, fantasy artwork and custom coordinating sheaths. Fully functional and they look great too! 12 7/8" overall.